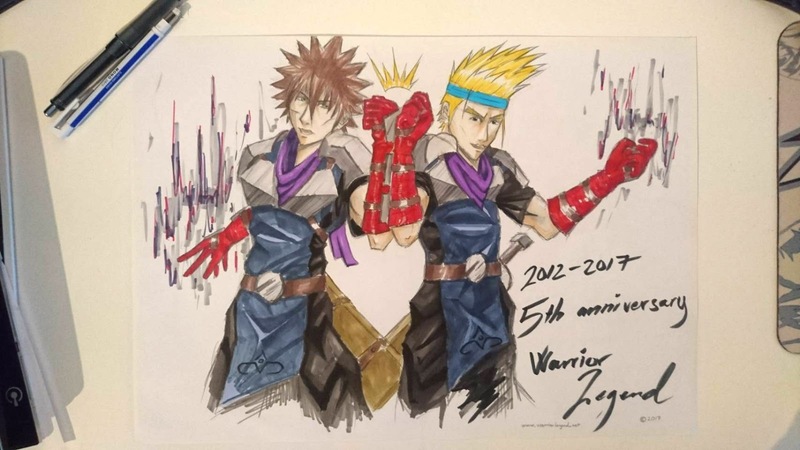 It's come to a time to celebrate 5 years since the work for Warrior Legend first started to take place. If I remember correctly it was around mid spring/summer of 2012 that me and my friend started working on the story for real. But for the manga I didn't start before late 2014. (Click the picture to enlarge, Ozias the main protagonist from left to right with Enoch. I made this artwork of Ozias and Enoch to remind and show how strong friendships could be, and showing that they also have a great time together just like we had planing this. I hope the manga will catch up for more reader one day, again, thanks for checking this out!